One potential setback is that MetaFly doesn’t have the photography capabilities, at least for now. 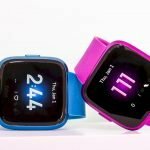 The gadget can now be ordered via Kickstarter with a price tag of $ 78. 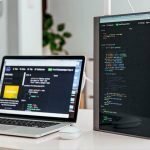 MetaFly is planned to be distributed in September 2019. Nowadays, drones have been associated with propeller-powered gadgets to take photos or videos from the air. The drone is actually a simplification of the term UAV, which means unmanned flying vehicle. The flight system does not always need to rely on rotors and lots of startups have tried to expand the definition. Another unique drone comes from an inventor that reside in France. 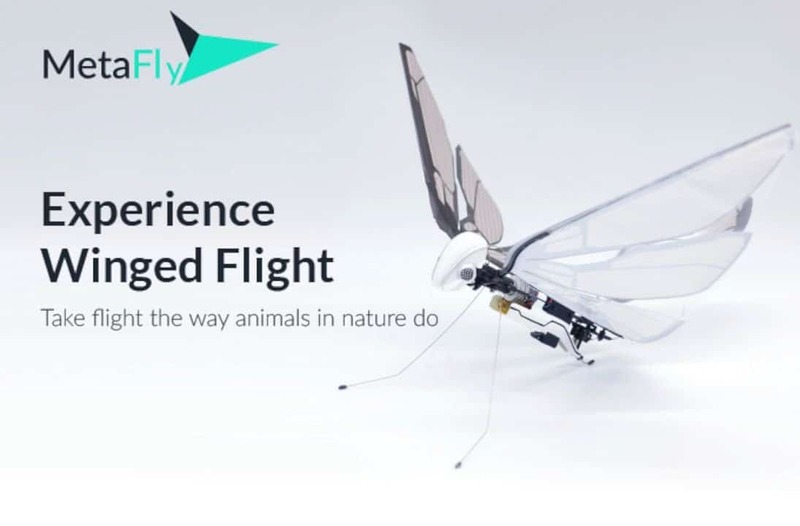 Through the Kickstarter crowdfunding site, inventor Edwin Van Ruymbeke introduced MetaFly, a flying robot with a body structure inspired by living things with a process of creating biomimetic and biomimicry-based. 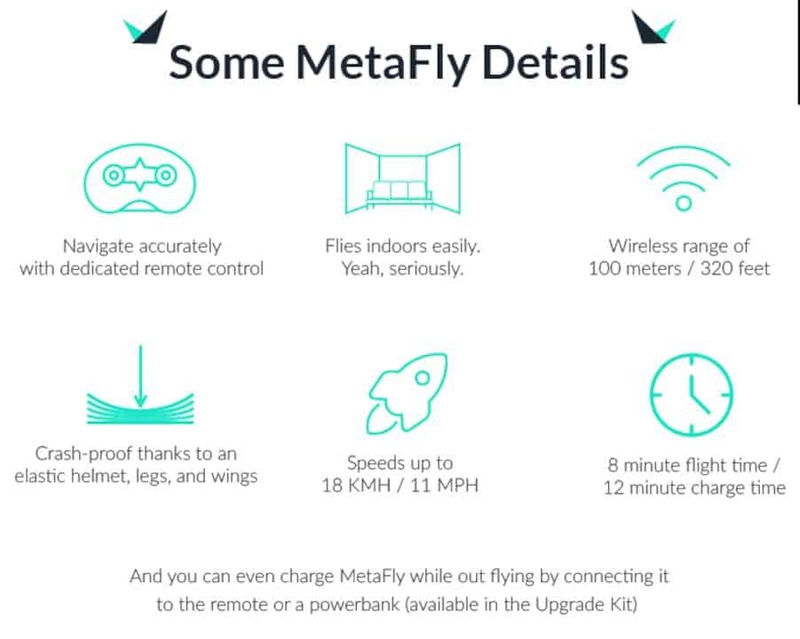 While the majority of commercial drones use propellers as the main driving system, MetaFly flies takes on the challenge to utilize armed with a pair of wings. Edwin Van Ruymbeke also claimed that MetaFly was an innovative product from more than 50 years where it all began when his grandfather and father created the first mechanical flying bird, the TIM which later became the inspiration for him to continue the project that had the same direction. 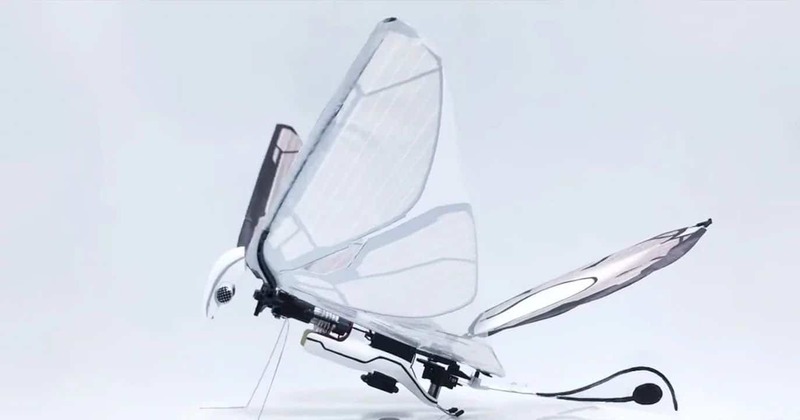 MetaFly's form resembles a combination of butterflies and birds, although, in fact, the design is oriented towards bees. There are wings on each side of the body, assisted by the tail to provide maneuverability. When stretched, the drone has a width of 29cm and a body length of 19cm. The tail is designed so that MetaFly can move swiftly in the air, and allows it to fly faster or slower by changing the slope angle of this section. 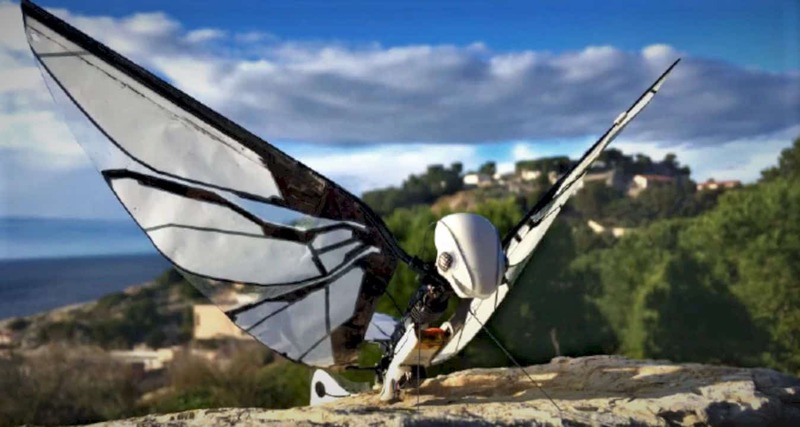 MetaFly can accelerate at a maximum speed of 18km / hour. 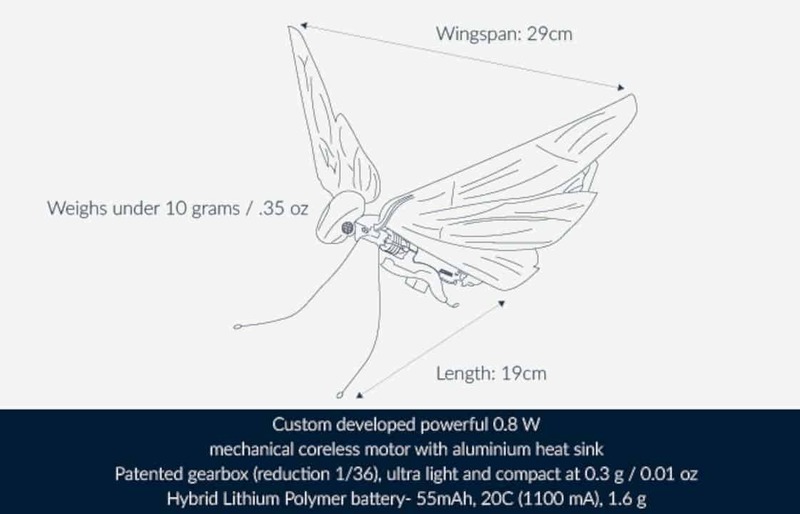 An important aspect while designing MetaFly is ensuring its weight is super light so it does not overload the wings and allows the drone to float without having to flap its wings. 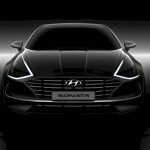 The part is made from a mixture of liquid crystal polymer and carbon fiber. 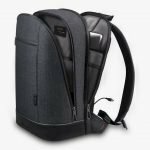 Its own body is composed of flexible plastic material so that the important components there are not quickly damaged when falling or accidentally hit another object. MetaFly has a total weight of less than 10-grams. 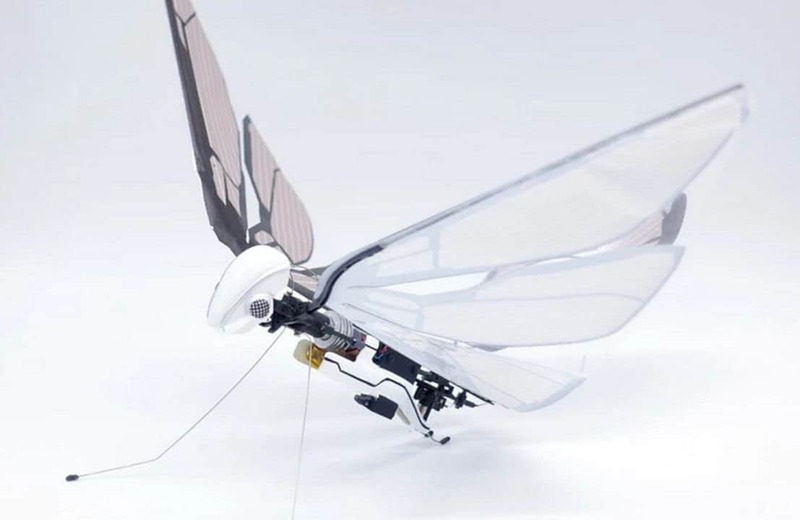 The most interesting thing about this winged drone is that it is quite agile and accurate to fly indoors. The control is carried out via a 2-channel remote control unit, powered by two AA batteries and capable of connecting to MetaFly up to a distance of 100 meters. 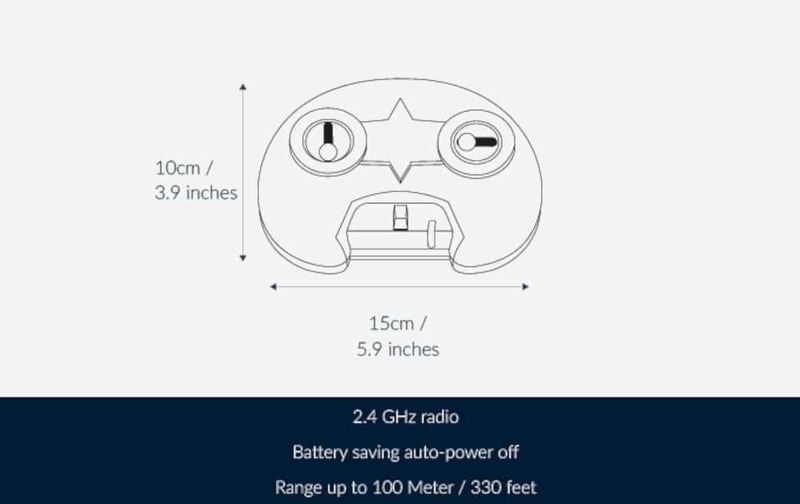 The built-in drone battery allows it to fly for 8-minutes, with a 12-minute refill time via the 1,500mAh power bank provided inside the package. One potential setback is that MetaFly doesn't have the photography capabilities, at least for now. 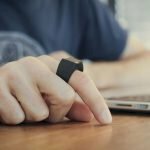 The gadget can now be ordered via Kickstarter with a price tag of $ 78. 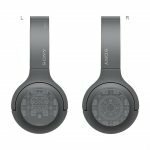 MetaFly is planned to be distributed in September 2019.